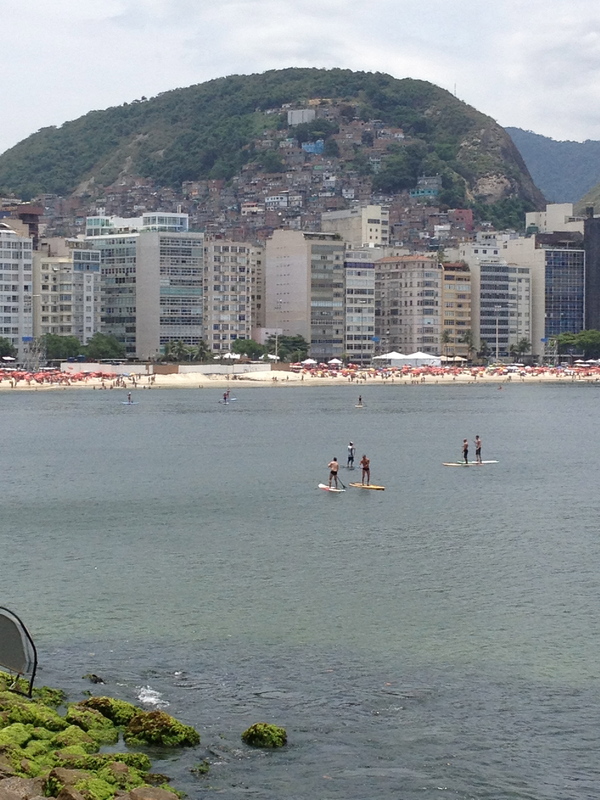 … and you can see the hills behind, complete with favelas flowing down the slopes. 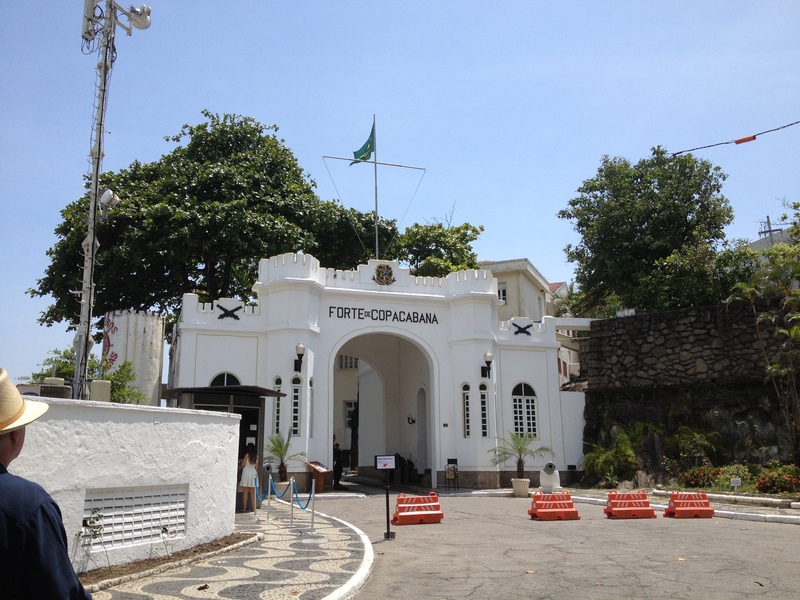 But while you’re there, perhaps having coffee or a meal at the Confeiteria Colombo, make the time to visit the old fort and the Museum of the History of the Army. 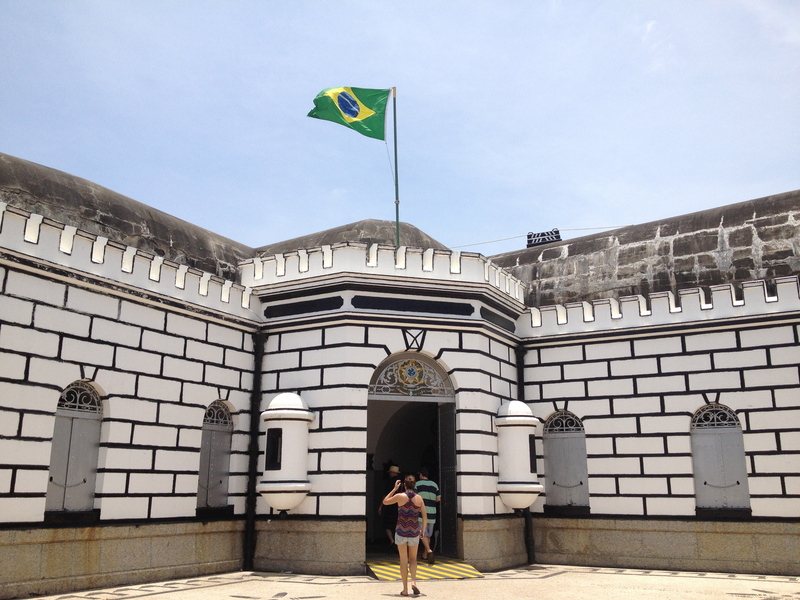 When we visited in December 2012, the museum was closed for renovation, but the fort was open. 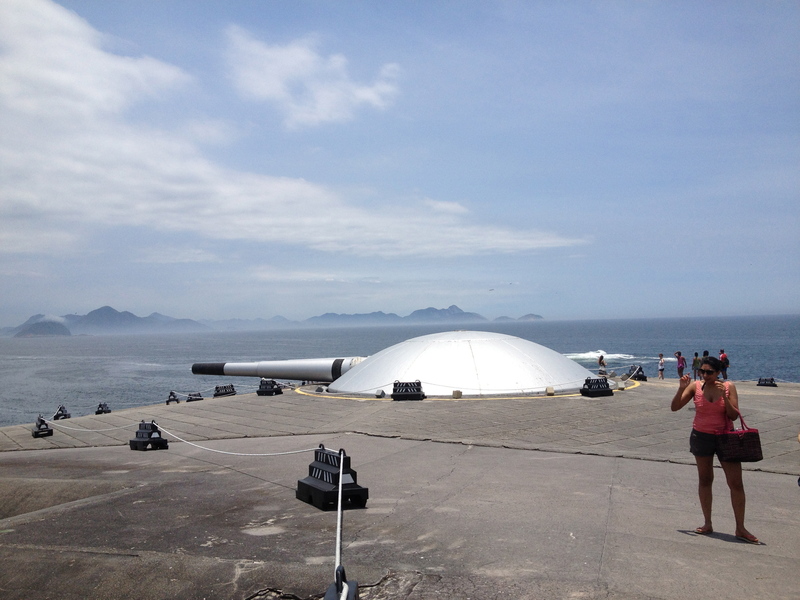 Completed in 1914, Forte de Copacabana is a military base situated on a point at the south end of Copacabana Beach. 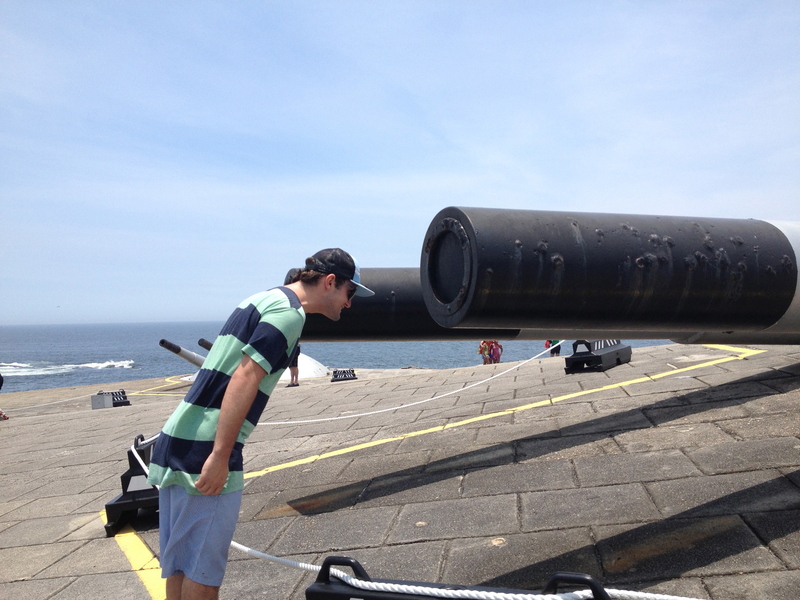 Built into the rock, the fort is below the massive guns that cover to the bay, protecting the coastline from invasion. “Below decks”, the fort’s halls are a warren of concrete and ladders, and reminded me of both a submarine and of the Cabinet War Rooms in London. Visiting the fort: The hours for the Museum (when it reopens) are 10 am to 6 pm, and the fort are 10 am to 8 pm, Tuesday to Sunday and holidays. 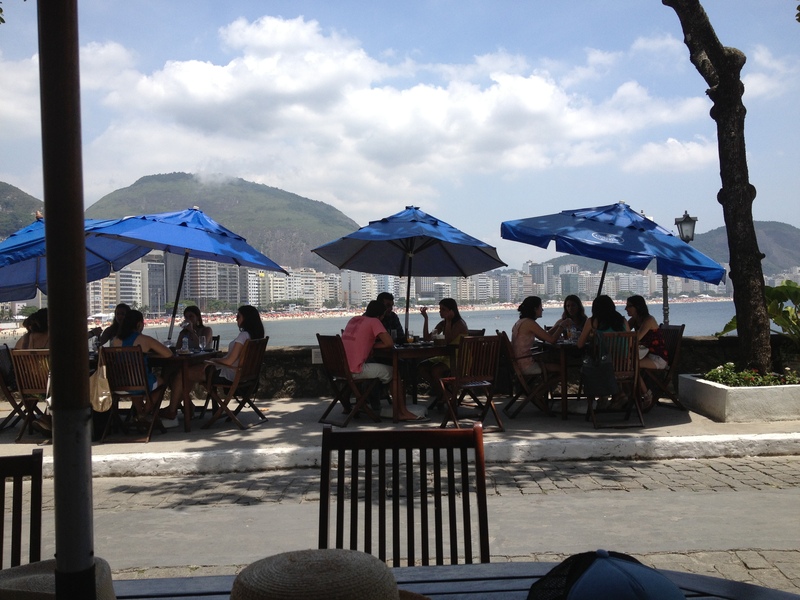 Admission for adults is R$4 per adult; there are discounts and free tours for the elderly and children. 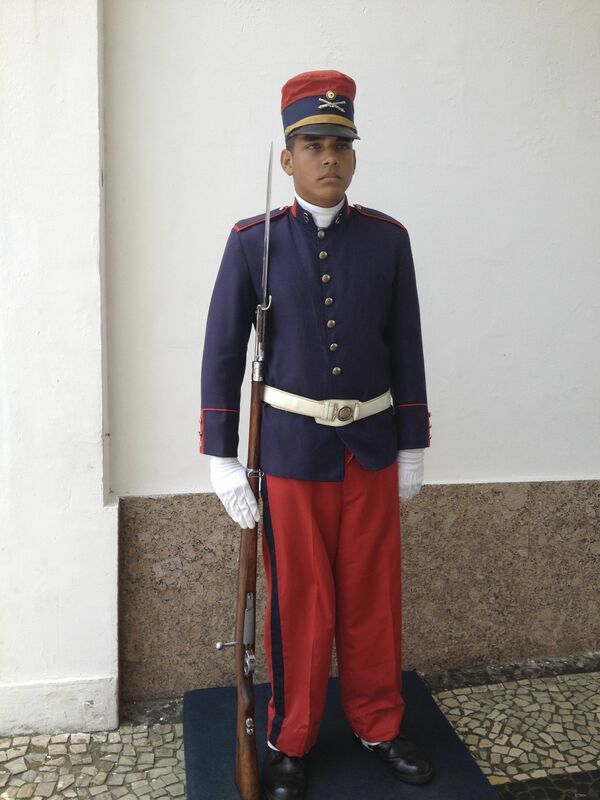 At the entrance to the base, in front of the fort, stands a guard in the uniform that was current when the fort was opened in 1914. 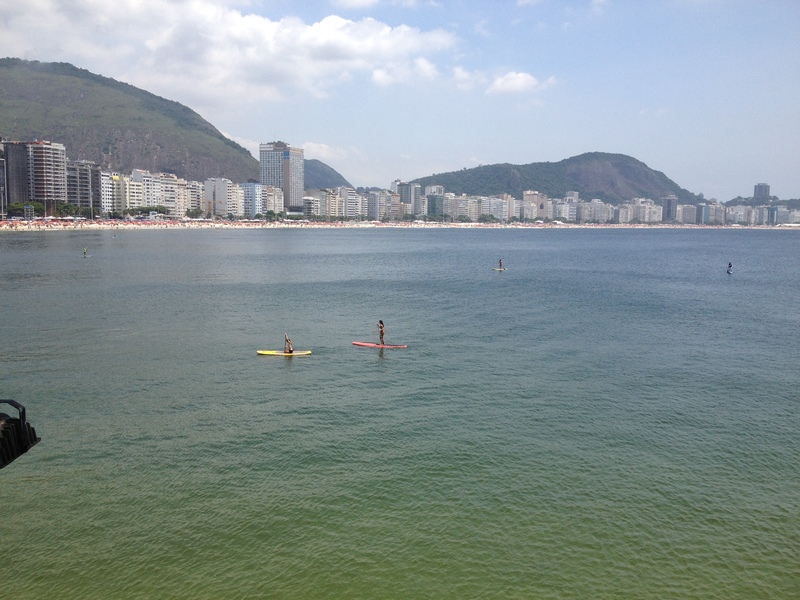 For the 2016 Summer Olympics, the fort is scheduled to host the marathon swimming and triathlon events. From what we saw during our visit, that’s going to be quite a swim if they get outside of the protection of the harbor, with large waves and what appear to be vicious currents.